The title of this blog post series, “So You Want to Adopt a Deaf Child?” is also the title of one of the tabs on the Signs for Hope website. The word deaf will be used to reference a child with any degree of deafness, including those labeled Hard of Hearing. The website is focused more on a general look at the adoption process and only gives some of the more obvious ways the adoption of a deaf child can impact an adopting family. This blog post series, however, is more focused on the overall encompassing impact the adoption of a deaf child can have on a family, especially if that family is only minimally aware or even if they feel they are somewhat aware of all that surrounds deafness and those who live in the Deaf World. It is recommended to read this blog post first. The Uniqueness of Deafness! There are many things to seriously research and prayerfully consider before moving forward with the adoption of a deaf child, even if you are encouraged to do so by others and by your adoption agency. The life-long journey of the adoption of a deaf child is anything, but easy, and it will be life-changing for all! Can you pick out the deaf child(ren) in this picture? Because deafness cannot be detected with the eye (visually) some families are eager to adopt a child labeled “deaf” or “hearing impaired” more so than one who has obvious visually recognizable “imperfections”. Deafness is often only detected after a child fails to begin talking by the age of two or three and sometimes beyond. Some of the misdiagnoses of deafness include autism, mental retardation and/or the inability or refusal to speak which is often referred to as “mute” or “non-verbal”. Deaf children, in general, tend to be about 18 months to two years behind their hearing peers, emotionally and socially, given their communication gap and lack of language acquisition from birth. If you do not already know, adopted hearing children who have been institutionalized then adopted are typically about 18 months or so behind (emotionally and socially) hearing children raised in loving homes from birth. This makes that emotional and social gap for the deaf adopted child to be as much as 4 years behind hearing biologically raised children. This is important to keep in mind at all times!In some countries the labels “dumb” or “deaf and dumb” are still used for those who cannot speak, some how relating the inability to speak with low-intelligence. These terms were coined and accepted here in the US by the hearing population many years ago. Today, the term “dumb” is no longer accepted in this country, but the hearing population has once again promoted a new, politically correct, label for the Deaf population, “hearing impaired”. Deaf people who identify themselves with the Deaf culture, prefer to be called what they are “Deaf”, a label that can encompass varying degrees of deafness and their precious Deaf culture since they do not believe they suffer from any impairment whatsoever. To learn more about how the Deaf population generally defines the above terms go to the National Association of the Deaf website. Not until hearing testing/screening is performed is it discovered the child has deafness to some degree. This may be primitive-like testing in other countries, the use of a squeaky toy or clanging pot lids behind the child. Even then many people do not make the connection the reason the child does not speak (mute) is because they have not heard people speaking to them nor heard themselves vocalizing as they progressed through the babbling stage of development for spoken language. This is the natural way a child without deafness learns to speak a spoken language. The deaf child’s voice is usually intact, but it is untrained and useless for communication because the hearing aspect needed for acquiring and learning accurate spoken language is not. The loud noises the deaf child will make with their voices and the sounds relating to other bodily functions, sounds they are oblivious to, will be the topic of another blog post in this series.By the way, there is no known deaf child in the above picture. It is simply a random photo off the Internet. You cannot tell by looking at a child if they are deaf or not. If you think God is “calling” you to adopt a deaf child and you have little to no experience with deafness and you do not know anyone who lives in the Deaf World…STOP! Go back to your spouse and the two of you take whatever time is necessary to make sure God has “called” you to this, before moving forward. Ask God to show you in unmistakable ways. You can be assured if you move forward without knowing this is from God, somewhere down the road you will begin questioning, “Why did we ever do this?” If you KNOW for sure, God has “called” you to adopt a deaf child, that knowledge will give you the added strength you will need to persevere no matter the cost to you and any other hearing family members for the challenges ahead. The affects the adoption of a deaf child has on hearing siblings (adopted and/or bio), as well as other extended hearing family members, is often challenging as well and this, too, will be covered in this series. In addition, to learning all you can about the culture of the Deaf, you and every member of your immediate family MUST be willing to commit to learning American Sign Language. This should not be an option, but should be mandatory by your adoption agency. An entire post, in this series, will be devoted to this topic of Learning ASL. 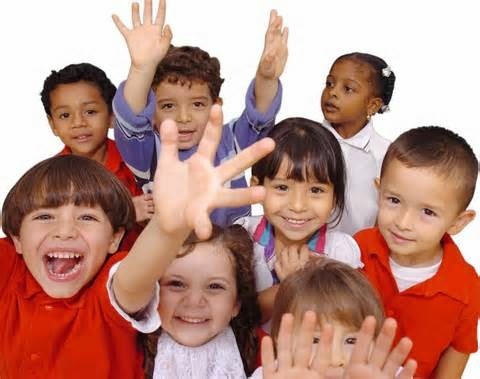 The vast majority of deaf children available for adoption are considered “older”, above the age of 3, and that, in and of itself, will be challenging for most families. Even if you start the adoption process when the deaf child is under 3, they will often turn 3 before you can bring your son/daughter home. In case no one has told you, there really is nothing magical about adopting a child under the age of 3. Adopting a child under the age of 3 can also be just as challenging for bonding and connecting with their adoptive family as it can for a child over the age of 3. 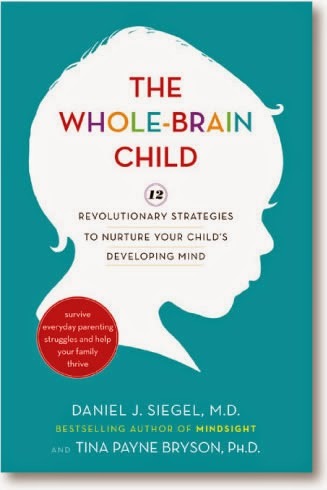 With the vast brain development research, available now, it is readily understood the brain of a child who has been traumatized develops much differently from one that has not. What is meant by traumatized? Examples of trauma include institutionalization (orphanage-life) where neglect and lack of nurture abound; abandonment also breeds trauma for the adopted child, even if they cannot remember when it happened. The brain of a child is deeply affected by trauma experienced in utero, as well, and could be related to the mother’s use of substances harmful to her unborn child and/or what she may be experiencing herself during the pregnancy. Mom’s stress levels, during pregnancy. also impacts the physical development of her unborn child and not just their brain. Dr. Karyn Purvis, author of The Connected Child, sites cleft lip and palate abnormalities in Asian babies as being directly related to stress the mother experiences when she discovers she is pregnant. The one-child policy evokes great emotional upheaval for Asian mothers and that occurs about the time the palate inside the mouth of her unborn baby is developing in utero. The brain of a child cared for by a loving family from birth compared to the brain of a child who is born into uncertainty, lack of nurture and neglect is vastly different. Families adopting a child that has experienced neglect, lack of nurture, hunger, and possible mind-altering events that took place in utero or trauma during a stressful birth must receive appropriate training for how best to connect with them, appropriate for parenting a child from the “hard place”. This kind of training will grant parents the ability to provide an environment geared toward increased brain function which will in turn grant the child the ability to respond in appropriate ways and not with unacceptable behaviors.The Empowered to Connect Conferences, led by Dr. Karyn Purvis, are the best way to prepare for adoption. They are also a wonderful place for learning more tools to help with parenting adopted children once they are home. Dr Purvis believes it is never too late to begin using the tools she equips parents with at these conferences and I agree. Signs for Hope believes it is the right of the deaf child for their adoptive family to be fully aware of as many of the challenges they will face while raising them, yes, because of their deafness, but also because of their coming from the “hard places.” *Trying to prepare yourself and your family, as best you can, to bring home a child from the “hard places” and learn ASL adequately, at the same time, is next to impossible. You will either prepare well for one, or be inadequately prepared for both.One more thing to prepare yourself for when adopting a deaf child; it is very possible and highly likely your deaf son or daughter has been physically and/or sexually abused. It is sad, but it is a common occurrence here in this country, so you can only imagine how much greater the possibility is for this to happen in other countries’ institutions. * A child from “hard places” is a phrase Dr. Purvis uses to describe children who have experienced trauma during institutionalization and/or foster care placement. Part 2, What is the Quickest Way to Learn American Sign Language? Part 5, Why is the Deaf Child So Far Behind the Hearing Child? Part 8, What is BEST for the Deaf Child and Beyond? Part 11, Don’t Do It! Part 13, Deaf Adoption – REALITY CHECK! « LOVE IS NOT A FEELING!